“I have worked with Ricardo since 2009. He has created several demo and promotional videos for Match My Email that have been viewed by thousands clients. We utilize his videos through out our website and on our Salesforce AppExchange account. I can’t thank Ricardo enough for all his professionalism and quick turn around time on numerous video editing projects” – Trevor Holewinski. Match My Email is a software development company based in the United States. Their vision was to create an email syncing app that would make sure than every email is logged from a variety of email applications, to Salesforce. The app frees the user from the task and responsibility of syncing emails to Salesforce. The app also creates a perfectly reliable email log in Salesforce organized by client and account. Computers in the cloud do all the work. 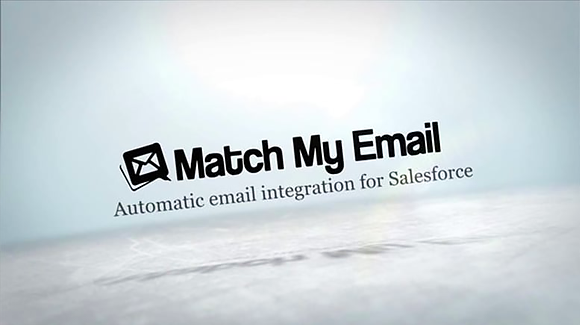 They called it Match My Email because it automatically matches emails to Salesforce records and the business has gone from strength to strength since inception. My relationship with MME started after I was approached by Trevor Holewinski (who I had previously created some graphic design elements for with another business) to work on some promotional videos for their product. This has since led to a fantastic relationship as I have worked with them to create product demos, promo videos and website backing videos. No Comments to "Match My Email"